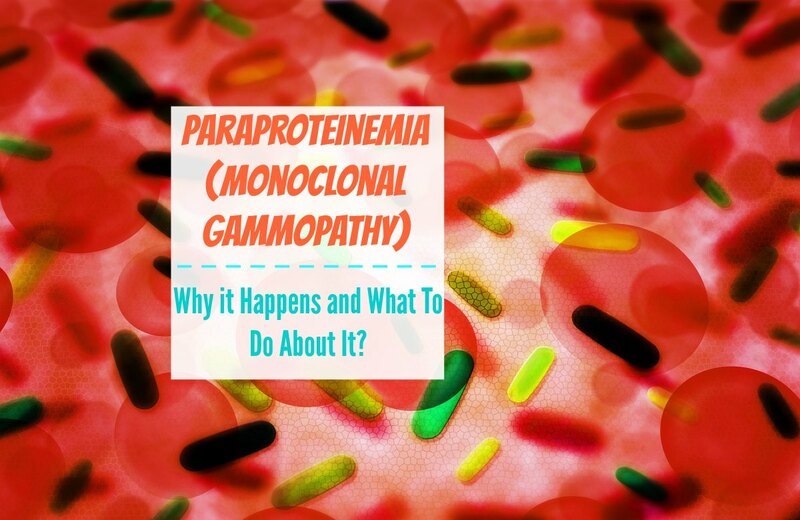 Home » Blog » Paraproteinemia (Monoclonal Gammopathy) – Why it Happens and What To Do About It? Paraproteinemia is a blood disorder. Paraproteins are also known by other names, including myeloma proteins, spike proteins, M proteins, or M spikes. Myelomas are malignant developments of the plasma cells, the cells in the blood which are responsible for making the immunoglobulins, or antibodies, that help the body defend itself against viruses and bacteria. The disorder belongs to the larger category of plasma cell dyscrasia. In plasma cell dyscrasia, plasma cells produce large amounts of paraproteins. In most cases, paraproteinemia is benign. In rare instances, paraproteinemia is a pre-cancerous condition. It is also called monoclonal gammopathy. “Monoclonal” means that all the cells involved are “clones” that are identical to the single cell that was their “parent” or ancestor. “Gammopathy” is a more general term that refers to anything that goes wrong with the body’s process of making immunoglobulins. In a blood test, paraproteinemia will show up as a single “spike” in one particular immunoglobulin protein because the abnormality is “cloned” from a single cell. Paraproteinemia is associated with a number of cancers. However, not every patient who develops paraproteinemia will develop cancer as a result. The condition becomes a medical concern when the body makes more than one gram of abnormal proteins per day. In the rare cases in which the body makes more than three grams of abnormal proteins per day, doctors begin to suspect multiple myeloma. Autoimmune disease: Autoimmune conditions including cryoglobulinaemia, Hashimoto’s thyroiditis, rheumatoid arthritis, scleroderma, and systemic lupus erythematosus can have paraproteinemia as a symptom or complication. In such cases, paraproteinemias are unlikely to be malignant. Bacterial endocarditis: Infections of the inner tissues of the heart that are caused by bacteria can lead to paraproteinemia. The bacteria most commonly involved in these infections are certain strains of staph and strep. Chronic lymphocytic leukemia: Also known as B-cell chronic lymphocytic leukemia, this type of cancer affects the specific type of lymphocyte known as the B cell, which is found in the bone marrow. Cold agglutinin disease: In this autoimmune disorder, antibodies can only adhere to red blood cells when the blood is lower than average body temperature (hence the word “cold”). Cold agglutinin disease is sometimes a secondary disorder resulting from lymphoma, leukemia, or an infection. Heavy chain diseases: Heavy chains are proteins that make up part of immunoglobulins. In heavy chain diseases, the heavy chains lose their ability to bond to the other parts of the immunoglobulin. There are four different types of heavy chain diseases referred to as alpha, gamma, mu, and delta. Alpha chain disease is also called Seligmann’s disease, and gamma chain disease is sometimes called Franklin’s disease. MGUS: Mostly found in the elderly, this default diagnosis for paraproteinemias that show no clinical signs of malignancy and don’t appear to be negatively affecting the health of the patient requires no treatment other than a period follow-up. Only about one percent of MGUS cases develop into myeloma. Myeloma: Myelomas are cancers of the specific white blood cells that produce antibodies. Necrobiotic xanthogranuloma: According to Dr. Angela J. Wood and her colleagues, this is a rare skin condition that affects mainly the elderly. (6) It shows up as yellowish skin lesions, usually on the trunk of the body, the limbs, and in the region of the face near the eyes. The condition is sometimes associated with multiple myeloma, but not all the patients who present with this condition are subsequently diagnosed with cancer. Non-Hodgkin lymphoma: Lymphomas are cancers of the leukocytes, the white blood cells found in lymph fluid as well as blood. Any type of lymphoma that is not diagnosed as Hodgkin’s lymphoma is referred to as non-Hodgkin lymphoma. Paroxysmal cold hemoglobinuria: Also called Donath-Landsteiner syndrome, this condition presents as the sudden appearance of blood in the urine following exposure to cold temperatures. POEMS syndrome (Polyneuropathy, Organomegaly, Endocrinopathy, M-protein, Skin changes): In this rare condition that affects mainly men over the age of 50, patients have an unusual cluster of symptoms that often, although not always, includes paraproteinemia. Pyoderma gangrenosum: In this condition, wounds (typically on a leg) fail to heal and the tissue begins to decay. This condition is sometimes a symptom of multiple myeloma. Schnitzler syndrome: This rare form of autoimmune and autoinflammatory dysfunction causes chronic hives, fatigue, and sore, swollen joints. Waldenström’s macroglobulinaemia: This cancer involves two specific types of B cells, the lymphoplasmacytoid cells and the plasma cells. Warm antibody autoimmune hemolytic anemia (WAIHA): Cold agglutinin disease and paroxysmal cold hemoglobinuria are related anemias, but whereas they occur with exposure to cold and at a temperature lower than body temperature, WAIHA occurs at normal body temperature. Note that cause and effect may not be clear-cut in these conditions. It may be unknown whether these conditions cause paraproteinemia, paraproteinemia causes them, or some third condition causes both, and there is some overlap between the word “paraproteinemia” and some of the about conditions. CIDP is a condition in which the immune system begins to attack the body’s nerve cells as if the nerve cells were an invasion of infecting cells, resulting in nerve damage. It is also known as Vidaurri’s disease. In AL amyloidosis, the abnormal proteins in the blood collect in bodily organs and tissues. If these deposits are allowed to continue for a long period, it can lead to organ dysfunction. According to the Mayo Clinic Staff, MGUS might not have any symptoms. (8) Those patients who do experience symptoms may have nerve problems, numbness, rash, or tingling. Paraproteinemias themselves don’t necessarily have symptoms and may be discovered incidentally in the course of blood tests for other conditions. Complications of MGUS, for example, might include blood clots, bone fractures, and kidney dysfunction. 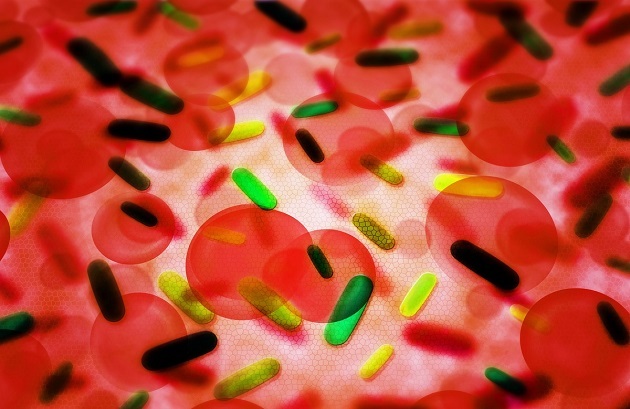 Patients who are being treated for these conditions may discover that they have paraproteinemia, but the condition for which they initially sought medical treatment is the primary condition that must be treated in such cases. Treatments for paraproteinemia vary according to the related conditions the patient is experiencing. For amyloidosis, treatment options include anti-inflammatory medications, autologous stem cell transplantation, chemotherapy, and organ transplantation in the case that organ damage leads to organ failure. A combination of the drugs dexamethasone and thalidomide have also been used as part of the treatment for such myelomas. In cases where neuropathy (nerve damage) is the result of paraproteinemias or their related conditions, treatment options include autologous peripheral stem cell transplant, corticosteroids such as Prednisone, intravenous immune globulin, melphalan (used in combination with Prednisone), plasma exchange, and radiation therapy. Alternative medications that have been suggested as treatments for paraproteinemia neuropathies include the immunosuppressive drug azathioprine, chlorambucil, fludarabine, and rituximab. Paraproteinemia is a disorder of the blood in which the body “clones” too many of the proteins that make antibodies. The condition is associated with many disorders, including a number of blood cancers and cancers of the bone marrow, although not every patient who develops paraproteinemia will develop cancer. Treatments vary according to the other conditions the patient has. In some cases, paraproteinemia does not cause any problematic symptoms and does not need any particular treatment. These cases require the patient to be monitored in case blood cancers develop.